Drunk driving charges allege that a person was operating a motor vehicle while the person's ability to do so was materially impaired as a result of the consumption of alcohol. Similar charges can result when the person's intoxication results from the use of medications or illicit drugs. This is a quick guide to what you should do after you have been arrested for drunk or impaired driving. Some people believe that a drunk driving arrest is not really any different than a traffic citation. That is simply not the case. Most traffic offenses are civil infractions that carry no significant penalty other than a fine and a possible driver's license suspension. Some states classify ordinary traffic offenses as minor misdemeanors, but with similarly limited penalties and consequences. With very few exceptions in a limited number of states, a conviction for a drunk driving offense will result in a criminal record, may cause you to lose your driver's license, and can potentially result in significant fines and a jail sentence or term of probation. One of the fundamental rights of somebody being questioned by the police is the right to remain silent. If the police believe you may be a drunk or impaired driver, they will ask you whether you have been drinking. Many people choose to answer this question, some with starting honesty. If in fact you have been drinking, it is best not to admit it. Depending upon how much alcohol you claim to have consumed, your admission alone may constitute "probable cause" to arrest you and give you a breathalyzer test. Some jurisdictions allow you to be charged with an impaired driving offense even if your blood alcohol content is below the legal limit. 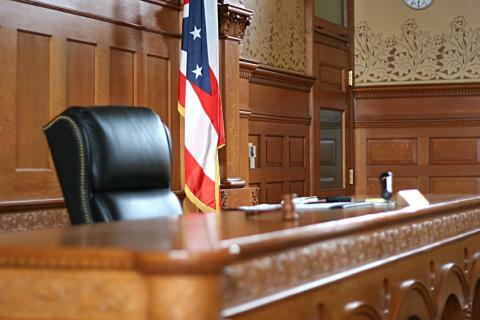 Your specific legal rights, including the stage of the arrest at which you can demand to be represented by counsel, will vary from state to state. Most jurisdictions do not permit you to demand your attorney to be present before you submit to a breathalyzer. Along with a criminal charge for a drunk driving offense come administrative penalties. In some states, your driver's license will be taken from you at the time of your arrest, and you will be issued a paper license. In some states, the police may also confiscate the license plate of your vehicle, and issue a paper plate. After conviction, you will almost inevitably face a suspension of your driver's license. As a result of your drunk driving arrest you may have to fight for your license, or to try to obtain a restricted license so you can drive to work or school. In some states, you may have to challenge the administrative penalty shortly after arrest. If you do not do so, even if you are ultimately acquitted of the drunk driving offense you may remain subject to driver's license sanctions. The best way to know your rights, and to make sure they are protected, is to consult with a lawyer who practices drunk driving defense law. It makes sense to consult an impaired driving defense specialist. While many lawyers will claim to offer broader criminal defense services, including drunk driving defense, those attorneys who choose to specialize in drunk driving will best know how to defend you against the charges, how to challenge any breath, blood, or chemical tests, how to dispute the validity of the original traffic stop, and how to best protect your license. They are also likely to know what the judge who is handling your case is likely to do if you plead guilty, or if you are convicted after a trial. It is even more important to consult a lawyer if you have a prior impaired driving conviction, as most jurisdictions impose much more serious penalties on repeat offenders than on first time drunk drivers.